If you came aboard here to see Charles Mingus playing, you have gotten on the wrong train. This DVD is a live concert performance – and it is the heart and soul of Mingus. It does not have the bass legend playing, though. While that might be a detriment, it is one of the only ones you’ll find. 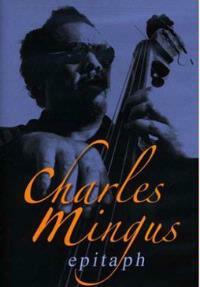 Charles Mingus died before he could see this, his masterwork performed. He had been working on it. After he passed away notes and scores were found of various music he’d been composing. This was, without question the most impressive and massive bit of music out there. A 500 page composition with 19 movements for 31 musicians, there had never been a jazz composition of this scope or magnitude before. The music is incredible. It runs through numerous changes and alterations and reflects many moods and eras of jazz. Yet there is still a cohesive nature to it. This is truly one massive piece. Perhaps it’s more in keeping with classical music than jazz in a lot of ways, but call it what you like, this is great stuff. The video here is a bit less than one might hope, though. The picture isn’t overly clear. That said, the sound is great. The only other real complaint is that there are no bonus materials at all. Those who love jazz really need to pick this up. Those who are not necessarily jazz fans, but want to experience a musical adventure unlike any other should also enjoy this.